Pro Silva Ireland is delighted to announce three upcoming events in 2019. Please note the dates in your diaries. 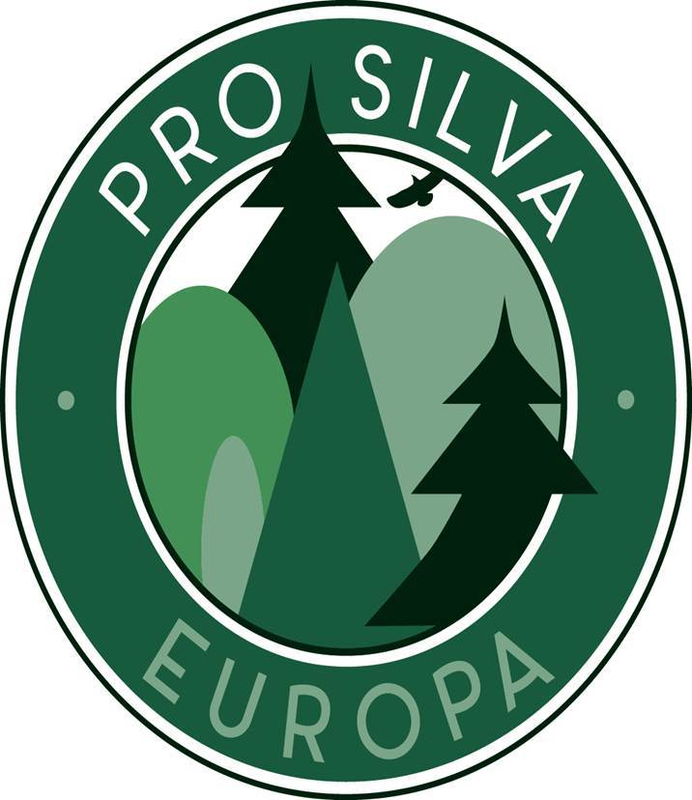 Pro Silva Ireland Autumn Field Day: Developed Continuous Cover Forestry Managed Woodlands, Saturday 28th September, Baronscourt, Co. Tyrone, with guest forester Phil Morgan. This is the location of a thinning experiment started under the Low Impact Silvicultural Systems (LISS) Project and continued under the TranSSFor Project looking at the most effective ways of initiating transformation from even aged spruce plantations to CCF. The site has had 2 thinnings and a 3rd thinning has been marked and will shortly be undertaken. 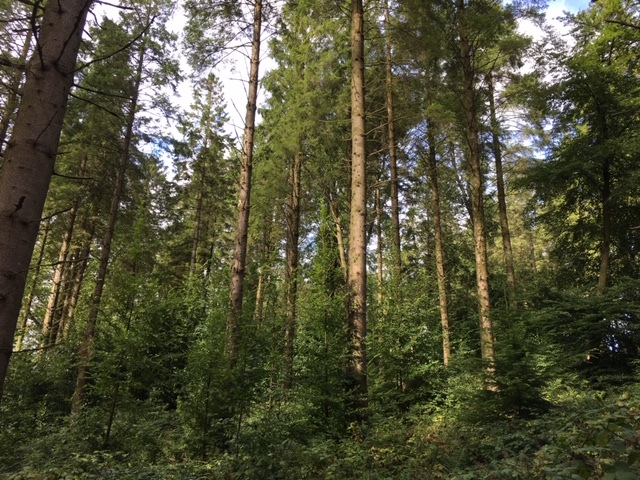 We will also see a Douglas fir site prepared for 2nd thinning, a 1st thinning in a mixed conifer stand and an early intervention in a poor quality mixed hardwood plot. More details of this event will be circulated in April. This is a joint trip being organised between the Continuous Cover Forestry Group (CCFG) in the UK and Pro Silva Ireland. We will be based in Turin. Sites and topics included will be Mountain Conifer Forest Management, Forest Management in Natura 2000 Protected Areas, Management of Protection Forests, Wildlife Management, Forest Mechanization and Timber Markets. The cost of the trip will be €300 – excluding flights (which are to be booked and paid for by individuals attending), transfers to Turin and 2 evening meals. Places are limited! To secure a place please send a deposit of €50 to Pro Silva Ireland to Manus Crowley, Treasurer, Pro Silva Ireland, 18 Marian Place, Bennettsbridge, Co. Kilkenny. Please note: members pay for their own flights and may arrange alternative routes to Turin but everyone has to be ready to join the group early Friday morning. Prices listed below may have since changed. Baronscourt Woodlands, Co. Tyrone, with guest UK CCFG forester Phil Morgan. The Woodlands at Baronscourt reveal a pioneering commitment of the owners to adopt continuous cover forestry management at the first Pro Silva Ireland day, with guest European forester, Hans Otto, almost 20 years ago. Baronscourt Woodlands are important as they demonstrate the most developed continuously cover forest managed woodlands in Ireland. Baronscourt Estate has a very long association with forestry which goes back at least to the late 1800s. The forestry operation at Baronscourt covers approximately 1,150 ha of commercial woodland. The majority of the conifers grown are: Sitka Spruce, Norway Spruce, Western Hemlock, Douglas Fir, European, Hybrid & Japanese Larch, Scots, Lodgepole & Monterey Pine, Western Red Cedar, Lawson Cypress, Atlas & Deodar Cedar, Chilean Pine (monkey puzzle) and Giant Sequoia. In September 2001, Baronscourt Estate started a management conversion of its forest to “Continuous Cover Forestry” (CCF) adopting graduated density thinning and target diameter regimes. The aim of this conversion is to enhance the stability within the forest structure from wind, soil erosion, and climate mitigation. Also that a multi-age (uneven) and multi-species forest structure has significant economic, environmental, and social benefits in comparison to standard plantation forestry. Natural Regeneration is becoming well established although the resident herd of Japanese Sika deer continue to browse some favoured species such as oak and Douglas fir. More details of this event will be circulated in August.